BlackVue's top-of-the-line quality, ever-increasing technological advances, and growing popularity in the dashcam community make it a top manufacturer at The Dashcam Store. Whether you're researching the BlackVue brand for the first time, you're looking to upgrade your current in-car security system to a BlackVue, or you're comparing and contrasting BlackVue models to decide which one is the best option for your specific driving needs, you've come to the right place. This comprehensive buyer's guide will go over the details of the current, new, and soon to be released BlackVue dashcams and dashcam accessories. We'll cover the history of the BlackVue brand, list the specs and features of all BlackVue dashcams, discuss the specific features and applications of each model one by one, and go over all OEM BlackVue accessories and non-OEM accessories that we recommend for BlackVue dashcam owners. Our goal is to help you find all the BlackVue information you need to help you see if BlackVue is the best dashcam brand for you, and if so, which model is the best one for your car, truck or fleet. If you're researching dashcams for your business/fleet vehicles, please also see our fleet dashcam buyer's guide. A pioneer in mobile imaging since 2007, BlackVue's parent company Pittasoft has been the industry leader when it comes to new product development and advancements in the dashcam market. Based in South Korea (home to world-renowned technology firms such as Samsung and LG), BlackVue stands above the typical line of dashcams. Beginning years ago with the BlackVue DR300 dashcam, Pittasoft has continually improved both the feature set, quality, and reliability of their systems (for example: extending operating temperature ranges and product lifespans through the use of temperature-tolerant super capacitors instead of lithium batteries). We've seen an evolution through the years from the BlackVue DR300, to the DR350, DR400G-HD, DR500GW, DR550GW-2CH, DR600GW-HD, DR650GW-1/2CH, and DR650S-1/2CH. We feel the latest BlackVue models, such as the DR590-1/2CH, DR750S-1/2CH, and DR900S-1/2CH are some of the best dashcams available on the market today. There are a wide range of models to choose from depending on your budget and your specific application. Before we review the tech specs of each BlackVue dashcam one by one, here are all the features that come standard in every BlackVue dashcam. There is no need to remember to press "on" or "record". Just turn your car on, and you're good to go! Records both video and audio. Audio recording can easily be turned off if you choose. This means that video files are continuously written and overwritten on the memory card, starting with the oldest files first. With loop-recording, you'll never run out of space on your memory card and you'll be able to access your most recent video files easily. All BlackVue dashcams come with your choice of a BlackVue 16, 32, 64, or 128gb industrial-grade Class 10 microSD memory card. For best performance, reliability, and warranty coverage, we strongly recommend only using BlackVue memory cards in BlackVue dashcams. This G-sensor will detect a wide range of impacts; from a nudge to a collision. Audio notifications (for example: "starting normal recording") confirm proper operation and keep you updated without distracting you while you drive. These voice alerts can be turned off if you choose. Every BlackVue dashcam uses heat, cold, and vibration-tolerant super-capacitators to improve the dashcam's lifespan and reliability. Free software for playback on both PC and Mac. BlackVue provides free software for watching and/or exporting recorded videos and viewing GPS log data. Video files stored on the memory card can easily be played back with common software players like Windows Media Player or VLC. When connected to a power source such as your car battery (via the Power Magic Pro) or the B-124 battery pack, your BlackVue dashcam can keep a watch over your vehicle 24 hours a day, 7 days a week. When your vehicle is stationary, the dashcam will automatically enter parking mode, where only movement in front of the lens or an impact to the vehicle of any kind will be recorded to the memory card. No more wondering who was so kind as to leave you that nice dent in your door while you were away from your car. Constant updates are released to improve performance and address any potential issues. The Dashcam Store™ offers sales, service and support of your equipment in Austin, Texas. Extended warranties are available. Why buy from The Dashcam Store? Dashcams are all we do! Put your trust in us and join thousands of other happy customers who are now equipped with "The Dashcam Defense". As an official distributor and long-time partner of the BlackVue brand, we know these dashcams well and we're here to stand behind the products that we sell. We work directly with the manufacturer to ensure a steady supply of new inventory and to share with BlackVue any customer feedback (good or bad) that we receive. Don't take a risk with an unknown vendor when spending your hard-earned money; with us you know you'll be getting what you paid for, and that we'll be your point of contact for any support or warranty issues that may arise during setup or use. We're located in sunny Austin, Texas, and all of our sales, order fulfillment, and support takes place right here in the heart of the USA. With so many models to choose from, it may seem overwhelming to figure out which BlackVue dashcam model is the best option for you. BlackVue has a dashcam solution for just about every application, from teen driver to commercial big-rig truck operator and everything in between. Let's discuss the currently available 2019 BlackVue models, breaking down the features and specifications for each model so you can decide which BlackVue dashboard camera is the best fit for your driving needs. If you’re looking for the latest high-quality WiFi capable, forward-facing dashcam, the DR900S-1CH is the one for you. This new one channel model boasts the same specs as the DR900S-2CH dashcam, like Sony CMOS image sensors, 30FPS, and 4K UHD. It’s a new level of dashcam. Period. 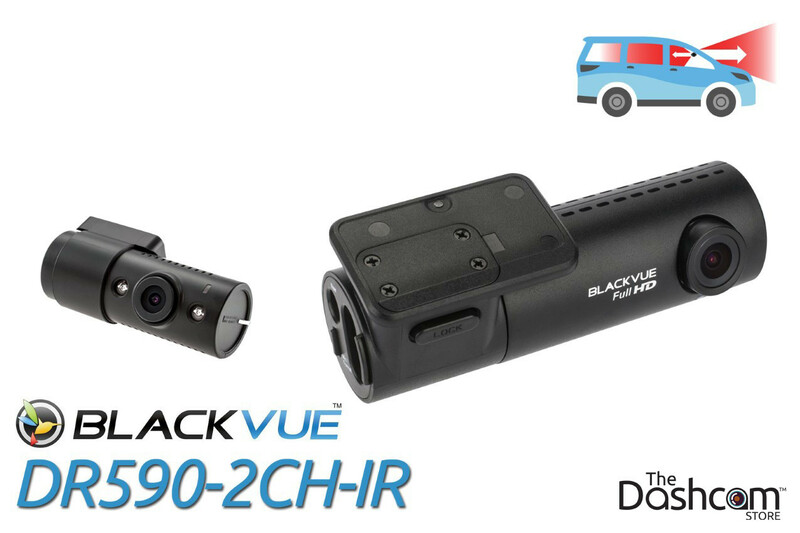 The DR900-1CH, launched for Spring/Summer 2018, is the next generation of high-quality cloud-capable dashcams by BlackVue. This model is an upgrade from the customer-favorite DR750S-1CH, which was released in Fall 2017. What does the 900S have that the 750S doesn’t? Take advantage of Ultra-HD 4K video, event file overwrite protection, adaptive format-free file management, scheduled reboots, a faster processor, improved video encoding, higher heat tolerance, and more. 4K UHD 8-Megapixel CMOS Image Sensor. The DR900S Series is the first BlackVue dashcam line to use an 8-Megapixel imaging sensors in the front cameras. The sensors are the new benchmark in mobile video clarity, especially in low light driving conditions. The extra clarity provided by the CMOS sensors ensures that your DR900S-1CH dashcam will capture critical details whether you are driving to work or letting the 900S monitor your vehicle while parked. "Love this camera. The cloud connected features work great! I would like to see a future BlackVue camera add a cellular connection for cloud connectivity. I really like how you can program several internet sources for the camera to connect to. This works good depending on where my car may be parked. Currently, I use my home WiFi when parked at home and a portable hotspot when away. I recommend buying the parking mode power source that plugs into the OBD II port on the car. It is made by a 3rd party specifically for the BlackVue cameras and was found on Amazon for $20. It works great and have no issue with excessive battery drain. I am surprised BlackVue is not selling such a device. Much better than hard wiring or using an external battery pack. Also, very satisfied with the customer service and prompt delivery from The Dashcam Store! " If you’re looking for the latest ultra-premium highest-quality, WiFi capable, two channel dashcam, the DR900S-2CH is the system for you. This new model boasts a Sony STARVIS™ image sensors in the rear lense and 4K resolution from the front camera, and more. It’s a complete upgrade from the tried and true DR750S-2CH. 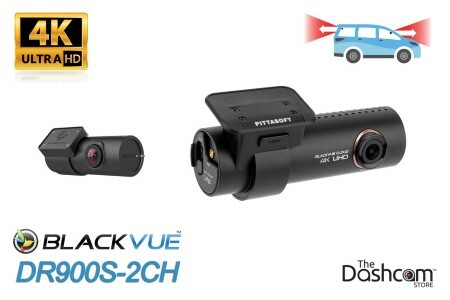 The DR900S-2CH, launched for Spring/Summer 2018, is the next generation of high-quality cloud-capable dashcams by BlackVue. This model is an upgrade from the customer-favorite DR750S-2CH, which was released in Fall 2017. What does the 900S have that the 750S doesn’t? Take advantage of Ultra-HD 4K video, event file overwrite protection, adaptive format-free file management, scheduled reboots, a faster processor, improved video encoding, higher heat tolerance, and more. The DR900S Series is the first BlackVue dashcam line to use an 8-Megapixel imaging sensors in the front cameras. The sensors are the new benchmark in mobile video clarity, especially in low light driving conditions. The extra clarity provided by the CMOS sensors ensures that your DR900S-2CH dashcam will capture critical details whether you are driving to work or letting the 900S monitor your vehicle while parked. "Had great service from the team at the Dashcam store. Answered emails without delay and very fast shipping and delivery. The dashcam gives great results and was exactly what I was looking for." If you’re a fleet manager, taxi driver, or rideshare driver who wants to record both outside and inside your vehicle, even at night, with Geo-data the DR900S-2CH-IR is your best option. It’s a complete upgrade from the tried and true DR750S-2CH-IR. 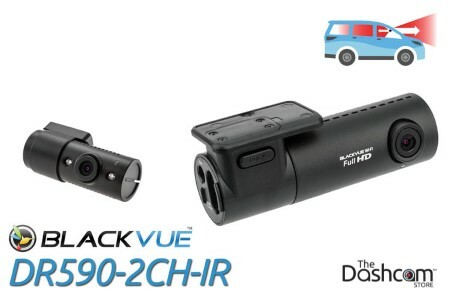 The DR900S-2CH-IR, launched for Spring 2019, is the next generation of high-quality cloud-capable dashcams by BlackVue. This model is an upgrade from the customer-favorite DR750S-2CH-IR, which was released in Fall 2017. What does the 900S have that the 750S doesn’t? Take advantage of Ultra-HD 4K video, event file overwrite protection, adaptive format-free file management, scheduled reboots, a faster processor, improved video encoding, higher heat tolerance, and more. The DR900S Series is the first BlackVue dashcam line to use an 8-Megapixel imaging sensors in the front cameras. The sensors are the new benchmark in mobile video clarity, especially in low light driving conditions. The extra clarity provided by the CMOS sensors ensures that your DR900S-2CH-IR dashcam will capture critical details whether you are driving to work or letting the 900S monitor your vehicle while parked. If you’re looking for the latest high-quality WiFi capable, forward-facing dashcam, the DR750S-1CH is the one for you. This new one channel model boasts the same specs as the DR750S-2CH dashcam, like Sony STARVIS™ image sensors, 60FPS, and more. It’s a total upgrade from the tried and true DR650S-1CH. The DR750S-1CH, launched in September 2017, is the next generation of high-quality cloud-capable dashcams by BlackVue. This model is an upgrade from the customer-favorite DR650S-1CH, which was released in Fall 2016. What does the 750S have that the 650S doesn’t? Take advantage of event file overwrite protection, adaptive format-free file management, scheduled reboots, a faster processor, improved video encoding, higher heat tolerance, and more. Check out our complete list of 15 improvements that the DR750S has over the DR650S here. Full HD 1080p Sony STARVIS™ Image Sensor. The DR750S-1CH is the first BlackVue dashcam to have Sony STARVIS imaging sensors in the front cameras. STARVIS sensors are the new benchmark in mobile video clarity, especially in low light driving conditions. The extra clarity provided by the STARVIS sensors ensures that your DR750S-1CH dashcam will capture critical details whether you are driving to work or letting the 750S monitor your vehicle while parked. 60FPS from the front camera. The camera lens of the DR750S-1CH has a new "Sport Mode" where the framerate is set to 60 frames per second, keeping all details sharp even in moments of fast action. What’s the advantage of 60fps for dashcam footage? Motion blur is significantly reduced compared to the industry standard 30fps. That means your BlackVue can better capture important details of an event, such as license plate numbers. With double the frames per second comes twice as much information, which means double the file size. It is likely there will be an increase in the time necessary to transfer video files over WiFi when your DR7501-2CH is recording in 60FPS. However, remote Live View using BlackVue Over-the-Cloud is not affected by the new image quality and framerate settings. "The video quality is fantastic, and the GPS logging and speed are also great." If you’re looking for the latest high-quality WiFi capable, two channel dashcam, the DR750S-2CH is the one for you. This new model boasts Sony STARVIS™ image sensors in both front and rear lenses, 60FPS from the front camera, and more. It’s a total upgrade from the tried and true DR650S-2CH. The DR750S-2CH, launched in September 2017, is the next generation of high-quality cloud-capable dashcams by BlackVue. This model is an upgrade from the customer-favorite DR650S-2CH, which was released in Fall 2016. What does the 750S have that the 650S doesn’t? Take advantage of event file overwrite protection, adaptive format-free file management, scheduled reboots, a faster processer, improved video encoding, higher heat tolerance, and more. Check out our complete list of 15 improvements that the DR750S has over the DR650S here. Full HD 1080p Sony STARVIS™ sensors in both front and rear cameras. The DR750S-2CH is the first BlackVue dashcam to have Sony STARVIS imaging sensors in both the front and rear cameras. STARVIS sensors are the new benchmark in mobile video clarity, especially in low light driving conditions. The extra clarity provided by the STARVIS sensors ensures that your DR750S-2CH dashcam will capture critical details whether you are driving to work or letting the 750S monitor your vehicle while parked. The front camera lens of the DR750S-2CH has a new "Sport Mode" where the framerate is set to 60 frames per second, keeping all details sharp even in moments of fast action. What’s the advantage of 60fps for dashcam footage? Motion blur is significantly reduced compared to the industry standard 30fps. That means your BlackVue can better capture important details of an event, such as license plate numbers. With double the frames per second comes twice as much information, which means double the file size. It is likely there will be an increase in the time necessary to transfer video files over WiFi when your DR750S-2CH is recording in 60FPS. However, remote Live View using BlackVue Over-the-Cloud is not affected by the image quality and framerate settings. DR750S-2CH walkaround install video in a Tesla Model X P100D. See the DR750S-2CH installed in a Ford SVT Raptor F-150. Its IR Lens is Perfect for Rideshare Drivers, Taxi Drivers, Fleet Managers, and Parents. The DR750S-2CH-IR is the best solution for taxi drivers, rideshare drivers (Lyft, Uber, Wingz, etc. ), parents, and fleet managers. Why? Because this dual-lens dashcam includes one lens that faces out the front windshield and one lens that faces inside your vehicle to record the driver. The lens that faces inside the vehicle is infrared (IR), so even if you’re driving at night or in low light the camera lens will still be able to capture everything. Parents can check in on what’s happening inside the car of their new teen driver, Fleet Managers can confirm their fleet of truck drivers aren’t driving distracted, and taxi drivers and rideshare drivers can record each ride in case of an incident or dispute. Just like the rest of the dashcams in the BlackVue 750S Series, this two-channel IR dashcam includes BlackVue Over-the-Cloud. Watch live video (including real-time speed and location), download videos, or make configuration changes on your smart phone via the BlackVue app or on your desktop. All you’ll need is a mobile hotspot device from your phone carrier (Sprint, Verizon, T-Mobile, etc.) or a built-in WiFi hotspot signal in your vehicle such as GM’s OnStar 4G-LTE. See Live Video from Both Lenses with Parking Mode. If you depend on your car for your full-time job or for your side-hustle, you’ll want to protect your livelihood 24/7. The DR750S-2CH-IR includes a parking mode, which will constantly “watch” our vehicle from both the front lens and the interior lens and save video to its memory card if it detects an impact with the built-in G-sensors or senses motion. You’ll need to connect your DR750S-2CH-IR to a constant power source in order to use the parking mode feature. A Power Magic Pro is an easy way to do that without draining your battery! It’s the Best Dual-Lens Dashcam Solution for Box Trucks and RVs. The feature that makes the DR750S-2CH-TRUCK the best two-channel dashcam specifically for trucks is that the rear dashcam is mounted on the outside of the vehicle. This waterproof camera is the best option for box trucks and RVs that can’t mount or install a rear dashcam inside their rear windshield. This two-channel dashcam solution will simultaneously capture video from two lenses, most commonly out the front windshield and out the back windshield, and will record the footage onto one memory card. There are plenty of installation options to give you the level of security and protection that you need! We have customers who have installed two DR750S-2CH-TRUCK systems in one truck in order to have front, rear, left side, and right side coverage. If you rely on your truck for your livelihood, you want to protect your investment 24/7, right? Like the DR750S-2CH, this two-channel truck dashcam includes a parking mode. Parking mode will constantly “watch” from both the front lens and the rear lens and save video files if it senses an impact with the built-in G-sensors or detects motion while your vehicle is parked. All you’ll need is a constant source of power, such as with the help of a Power Magic Pro. Its Cloud Capabilities Makes it a Great Option for Fleet Managers. Like all BlackVue dashcams in the 750S Series, the DR750S-2CH-TRUCK includes BlackVue-Over-the-Cloud. To start checking in with your vehicle from your smart phone via the BlackVue app or on your desktop, use a mobile hotspot device from a phone carrier or a built-in WiFi hotspot signal in your vehicle. Then you’ll be able to watch live video footage (including real-time speed and location), download videos, and make configuration changes! If you’re a looking for mid-range, WiFi enabled, discreet forward-facing dashcam, the DR590W-1CH is for you. The new one channel DR590W-1CH dashboard camera features Full HD 1080p resolution, a Sony STARVIS image sensor, 60 frames per second recording, and more. The DR590W-1CH is a mid-range dashcam for drivers who want protection from front-facing audio and video recording. This single-channel dashcam system will capture video from one camera lens, most commonly mounted on the front windshield, and will save the footage onto the removeable memory card. High-Quality Single Lens and a Good Feature Set. The DR590W-1CH comes in as affordable front dashcam option from BlackVue. This single channel solution is a good option for someone concerned about quality construction from a dependable brand name, but doesn’t need a dashcam solution with the latest and greatest features and specs. We want to be clear that the friendly price point of the DR590W-1CH doesn’t mean low quality, but it does mean that it has some basic specs compared to some of the other BlackVue models you’ll see in this guide. At the end of the day, the DR590W-1CH can still record in 1080p @ 60fps, which is double the framerate of most other 1080p dashcams. The DR590W-1CH does not include cloud capabilities, however, you can still use the BlackVue smartphone app to connect directly over WiFi, for video downloads and camera settings management. Although GPS position and speed logging are not included by default in the DR590W-1CH, this data can be captured by plugging in an optional BlackVue external GPS antenna. If you’re a first-time dashcam owner looking for an affordable, discreet front and rear-facing model, the DR590W-2CH may be for you. This new dashboard camera features Full HD 1080p resolution from both lenses, Sony STARVIS image sensors, and more. The DR590W-2CH is an mid-range dashcam for drivers who want all around protection with both front and rear recording. This two-channel dashcam system will simultaneously capture video from two dashcam lenses, most commonly mounted on the front windshield and on the back windshield, and will record the footage onto one memory card. High-Quality Dual Lens and a Good Feature Set. The DR590W-2CH comes in as an affordable front and rear dashcam option from BlackVue. This two-channel solution is a good option for someone concerned about quality construction from a dependable brand name, but doesn’t need a two-channel solution with the latest and greatest features and specs. We want to be clear that the affordability of the DR590W-2CH doesn’t necessarily mean low quality, but it does mean that it has some basic specs compared to some of the other BlackVue models you’ll see in this guide. At the end of the day, the DR590W-2CH records in 1080p 30fps from both lenses, and offers the ability to connect directly to the camera over WiFi, using your smartphone and the free BlackVue app. The DR590W-2CH does not include cloud capabilities, but it does offer the local direct-WiFi connection. Although GPS position and speed logging are not included by default in the DR590W-2CH, this data can be collected by plugging in an optional BlackVue external GPS antenna. If you’re a fleet manager, taxi driver, or rideshare driver who wants to record both outside and inside your vehicle, even at night, with Geo-data the DR590W-2CH-IR is your best option. The IR (Infrared) Lens is Perfect for Rideshare Drivers, Taxi Drivers, Fleet Managers, and Parents. The DR590W-2CH-IR is the best solution for taxi drivers, rideshare drivers (Lyft, Uber, Wingz, etc. ), parents, and fleet managers. Why? Because this dual-lens dashcam includes one lens that faces out the front windshield and one lens that faces inside your vehicle to record the driver. The lens that faces inside the vehicle is infrared (IR), so even if you’re driving at night or in low light the camera lens will still be able to capture everything. Parents can check in on what’s happening inside the car of their new teen driver, Fleet Managers can confirm their fleet of truck drivers aren’t driving distracted, and taxi drivers and rideshare drivers can record each ride in case of an incident or dispute. If you’re a first-time dashcam owner looking for an affordable, discreet forward facing option, the DR590-1CH may be for you. This new one channel version of the DR590-2CH dashboard camera features Full HD 1080p resolution, Sony STARVIS image sensors, and more. Good Introduction to a One-Channel Setup. The DR590-1CH is an entry-level dashcam for drivers who want all the protection of a front-facing dashcam. This model is nearly identical to the DR590W-1CH, except the DR590-1CH does not offer WiFi connectivity. So, if you're comfortable removing the memory card when you need to retrieve a video file, save some money and opt for the reliable and simple DR590-1CH. High-Quality Single Lens at an Affordable Price. The DR590-1CH comes in as the most affordable front dashcam option from BlackVue. This one-channel solution is a good option for someone concerned about quality construction from a dependable brand name, but doesn’t need a solution with the latest and greatest features and specs. We want to be clear that the affordability of the DR590-1CH doesn’t necessarily mean low quality, but it does mean that it has some basic specs compared to some of the other BlackVue models you’ll see in this guide. At the end of the day, the DR590-1CH still records in 1080p at 60fps. The DR590-1CH does not include WiFi or cloud capabilities. Although GPS position and speed logging are not included by default in the DR590-1CH, this data can be recorded by plugging in an optional BlackVue external GPS antenna. If you’re a first-time dashcam owner looking for an affordable, discreet forward and rear-facing model, the DR590-2CH is for you. This new model features Full HD 1080p resolution from both lenses, Sony STARVIS image sensors, and more. Good Introduction to a Two-Channel Setup. The DR590-2CH is an entry-level dashcam for drivers who want all around protection with both front and rear recording. This two-channel dashcam system will simultaneously capture video from two dashcam lenses, most commonly mounted on the front windshield and on the back windshield, and will record the footage onto one memory card. The DR590-2CH is nearly identical to the DR590W-2CH, except the DR590-2CH does not have the direct WiFi interface. High-Quality Dual Lens at an Affordable Price. The DR590-2CH comes in as the most affordable front and rear dashcam option from BlackVue. This two-channel solution is a good option for someone concerned about quality construction from a dependable brand name, but doesn’t need a two-channel solution with the latest and greatest features and specs. We want to be clear that the affordability of the DR590-2CH doesn’t necessarily mean low quality, but it does mean that it has some basic specs compared to some of the other BlackVue models you’ll see in this guide. At the end of the day, the DR590-2CH records in 1080p 30fps from both lenses. The DR590-2CH-IR is an entry-level dashcam for drivers who want all around protection with both front and in-car recording. This two-channel dashcam system will simultaneously capture video from two dashcam lenses, both mounted on the front windshield, and will record the footage onto one memory card. The DR590W-2CH-IR is nearly identical to the DR590-2CH-IR, except the DR590-2CH-IR does not have the direct WiFi interface. 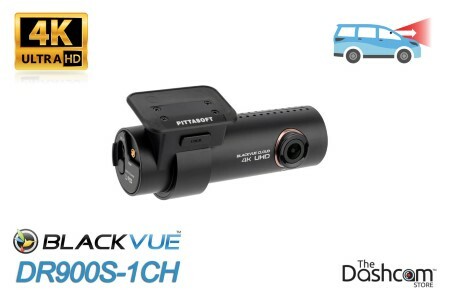 The DR590-2CH comes in as the most affordable front and interior dashcam option from BlackVue. This two-channel solution is a good option for someone concerned about quality construction from a dependable brand name, but doesn’t need a two-channel solution with the latest and greatest features and specs. We want to be clear that the affordability of the DR590-2CH-IR doesn’t necessarily mean low quality, but it does mean that it has some basic specs compared to some of the other BlackVue models you’ll see in this guide. At the end of the day, the DR590-2CH-IR records in 1080p 30fps from both lenses. If you’re looking for a dual-lens car blackbox that records in 1080p with both the front and rear lenses and just so happens to have a touchscreen, look no further than the new DR490L-2CH. This two-channel BlackVue dashcam will simultaneously capture video from two lenses, most commonly mounted to face out the front and back windshields, and will record the video footage onto one micro SD memory card. Do you want a dual-lens dashcam with a touch display screen? The DR490L-2CH, released in April 2017, provides just that! This two-channel dashcam setup includes a 3.5” built-in touchscreen display so you can easily play back video and adjust your settings directly from your front dashcam. That means you don't need to plug the dashcam's memory card into your computer. Quality Construction at a Fair Price. Although the DR490L-2CH records in 1080p, we want to mention that this two-channel dashcam does not include WiFi or cloud capabilities like the BlackVue 650S series dashcams. If you’re not concerned about these features, then don’t pay for them! High-Quality 1080p Resolution for Both Front and Rear. If dual 1080p recording is a make or break factor in your two-channel dashcam, the DR490L-2CH is the best BlackVue dashcam setup for you! The DR490L-2CH was the first BlackVue dashcam solution to record in 1080p from both the front and rear lens, setting the bar for subsequent models like the 750S and the 590. The recording quality of the DR490L-2CH is on par with more feature-packed BlackVue dashcams, like the DR750S-2CH or the DR650S-2CH. Both lenses of the DR490L-2CH record in stunning Full HD 1080p and 30fps, which will easily capture details like road signs and license plate numbers. "I got the new DR490L-2CH and love it so far. I highly	recommend it and the Dashcam Store. Record quality is great! The added feature that it will go into low power mode for parking mode recording and cut off automatically if the attery gets too low is nice." "The Blackvue product so far has worked great, excellent video resolution front and back. The video detail is just great at super 1080p, plates can be read easily." BlackVue doesn’t just provide some of the world's best dashcams, they also manufacture a complete set of matching dashcam accessories. All BlackVue dashcams will come with a power cord that plugs into the cigarette lighter power outlet in your car. That is all you need to power up and start using your dashcam! However, if you want to have a "hidden" installation where all the dashcam cords and wires are tucked out of sight, then you should consider adding a Power Magic Pro to your cart. The Power Magic Pro is a small control box that ties in safely and easily with your car's electrical system. This discreet power accessory is out of view underneath the dashboard and provides a new dedicated outlet for you to plug in the dashcam. The Power Magic Pro enables the parking mode feature where the dashcam keeps watch over your parked car. While in parking mode, the dashcam draws a very tiny amount of power from the car’s battery. With a Power Magic Pro, you don't need to worry about coming back to find your car unable to start due to a dead battery. This smart battery discharge prevention module is constantly monitoring the car battery and will turn off the dashcam should the battery level fall below the specific threshold that you set. "This compact module is unobtrusive in my glove compartment and apparently does a great job, as I have noticed no battery drain from the BlackVue in park mode." The new Power Magic EZ powers your BlackVue dashcam from your vehicle’s OBD (On-Board Diagnostic) port. No more searching for fuses at the fuse box, just plug and play! Power Magic EZ safely supplies power to your dashcam both when the engine is running and also when the engine is turned off. This way, your BlackVue dashcam can continue to protect your vehicle while it is parked. The Power Magic EZ offers the same timer and safety features as the Power Magic Pro: should your car battery drop to the safe cutoff threshold, the Power Magic EZ will turn off your dashcam, which will eliminate the possibility that you return to your car to find a dead battery. When you return to your vehicle and start the engine, the dashcam will resume recording automatically. "I wanted a dashcam for years and was reluctant to do an installation using add a fuse. Blackvue just came out with the ez adapter when i ordered it. I didnt want to deal with the hassle of buying directly from blackvue because they ship from korea. Blackbox my car didnt have it yet either. Thankfully, the dashcam store had in in stock so quickly. Ill be using this until the price comes down on a battery pack." Finally, a standalone battery pack for your BlackVue dashcam! The high capacity of the Power Magic Ultra Battery (6000 mAh) makes it ideal for long Parking Mode sessions. It charges fast, powers your dashcam for longer, and comes with a free Bluetooth app to manage battery status and settings. The Power Magic Ultra Battery can be simply connected to a cigarette lighter socket: it will then take about 80 minutes to reach a full charge when ignition is on. It can also be hardwired to your vehicle’s battery via the fuse box. In this case, it will charge in under 40 minutes. The Power Magic Ultra Battery can communicate with the Battery Manager app via Bluetooth. BlackVue's B-124E Expansion Battery Pack: now you can connect an Expansion Battery Pack to the B-124 Ultra Battery to more than double (or even triple) your capacity and Parking Mode time. NOTE: A "starter" B-124 Ultra Battery Pack (sold separately) is required in order to use the B-124E Expansion Battery Pack. The Expansion Pack does not function by itself. 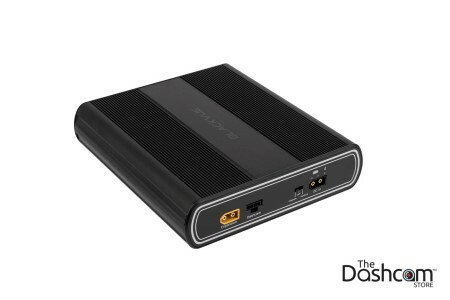 The Expansion Pack (B-124E) can store up to 6600mAh of power, so 10% more power than the Ultra Battery. Multiple Expansion Battery units can be connected in sequence to provide even larger capacity. "Best place for dashcam needs." Prevent unauthorized access to your memory card and prevent anyone from unplugging your BlackVue DR550, DR650, and DR750 series dashcam. This BlackVue original accessory fits securely on top of any DR550, DR650, or DR750 1 or 2-channel (front) dashcam, and is designed to physically block access to the microSD memory card slot, power cable, and coaxial cable (in the case of 2-channel BlackVue models). This will prevent anyone other than the vehicle owner or fleet manager from gaining access to the video files saved on the memory card and will prevent anyone from disabling the front or rear cameras by unplugging the cable. Furthermore, BlackVue's tamper-proof case prevents the camera from being rotated away from the forward direction so your in-car video camera lens is always recording your drives. "When allowing others to drive the vehicle and when having it serviced, this is the perfect add-on. Fits perfectly and can be secured with the key provided in the package. Also looks OEM installed once attached." "This device keeps your camera securely attached to your window." A BlackVue OEM (Original Equipment) microSD memory card is included with each BlackVue dashcam purchase. While the memory card is removeable and the card slot will accept other brands of memory cards, we strongly suggest the use of only BlackVue memory cards in BlackVue dashcams. The BlackVue OEM memory cards are industrial-grade and are designed to withstand the extreme high and low temperatures of being inside of hot and cold vehicles day in and day out, and they are also designed to cope with the constant read/write cycles of a high-quality dashcam. "I have a 16GB memory that came with the purchase of my DR650GW-1CH camera. Over a year of using the camera I am happy with my purchase but the 16GB memory card certainly not enough to hold the footage so I purchased this 64GB memory. This card hold 4 days of my footage and I'm very satisfy." "Excellent installation instructions. Very good support in solving an ordering mistake I made." The following accessories are compatible with BlackVue dashcams and were designed, for example, to enhance the quality of your daytime dashcam video recordings or to make dashcam installation process easier. Please note that the polarizing filters and mounting solutions listed below are not original equipment manufactured by the BlackVue brand. With that said, The Dashcam Store has quality tested each of these BlackVue-compatible accessories. Using a polarizing filter with your BlackVue dashcam during your day drives yields the highest possible video quality. These slip on top of your in-car camera’s lens and maximizes your dashcam's image sensor by reducing glare and reflections on the windshield. Polarizing filters can increase color depth and quality, making your videos look richer. These filters work their best when lighting conditions are at their worst. For example, these polarizing filters make a huge difference in image clarity when the sun is high overhead and causes reflections of your dashboard on the inside of your windshield and cuts down on solar flares and sun bursts when facing directly into the sun. Polarizing filters are available for the front and rear dashcam lenses of the BlackVue DR750S, DR650S, DR590, and DR400 series dashcams. "The reflection of my dash onto the windshield is gone thanks to this polarizing filter. It was easy to install and works as advertised. Thanks TDCS!" "This filter is great. It slips right on, is unnoticeable once installed and cuts a nice amount of glare." "The filter has greatly improved cutting down reflections off of my dash." When The Dashcam Store team saw an opportunity to improve the viewing angle of the BlackVue interior-facing dashcam, they designed a custom mounting solution. After multiple prototypes and rounds of testing, we released the Offset Bracket for the BlackVue DR750S-2CH-IR dashcam system. This offset bracket improves the view inside your car by increasing the distance between the inside-facing camera lens and the windshield, which results in more video footage of inside your vehicle instead of your headliner. The top of the offset bracket has an angled surface, which makes it adaptable to numerous angles of windshields and endless mounting locations. Each bracket comes with a pre-installed adhesive pad that is designed to affix the bracket to your windshield. Use the adhesive pad that is included with your BlackVue DR750S-2CH-IR and attach it to the top of the mounting bracket to stick the IR camera mount to the offset bracket. The Offset mounting bracket for BlackVue infrared interior lenses is patent pending. "I did not want to pay for a install. This mount did what I needed." The custom mounting brackets by The Dashcam Store are designed to slip over the top of your plastic interior body panels, such as your A-pillar or B-pillar, or to the edge of your headliner. This increases the mounting options for your secondary dashcam inside your vehicle, especially if your car or truck’s rear windshield rolls down. Each folded stainless-steel bracket features two formed lances (or “teeth”) to secure the mounting bracket in place over your interior panel or headliner. Custom mounting brackets designed by The Dashcam Store are compatible with interior-facing dashcam lenses like the BlackVue DR650S-2CH-IR as well as secondary lenses for rear recording like the BlackVue DR750S-2CH or DR590-2CH. BlendMount brackets are perfect if you do not wish to use the standard adhesive-based mount that comes with your BlackVue 400 series, 500 series, 650GW/S series or DR750S series dashcam. Instead of using the adhesive mounting pad to attach the front camera to your front windshield directly, the BlendMounts attach securely to your rear-view mirror stem. With a BlendMount, your BlackVue dashcam will tuck nicely in with your rear view mirror, and nothing will touch your front windshield glass.